Once re-known for its rich coal and tin production Llanelli has risen like a phoenix from the ashes and has transformed itself into a busy tourist area offering scenic coastal views overlooking the north Gower Peninsula which can be viewed from Machynys golf course through to the picturesque harbour town of Burry Port and onto the historic village of Kidwelly. We are fortunate to offer a variety of properties and area's, whether requirements are for a late Victorian home in the town centre, a modern, lifestyle property along the coastal path or a small holding in rural area's, Llanelli has it all. For everyday life, a whole variety of goods and services can be found at the traditional indoor market and town centre or nearby retail parks. The recently constructed East Gate Park boasts the new Furnace theatre as well as a number of restaurants and coffee shops. The medium of Welsh and English are on offer throughout schools in the vicinity. Overall Llanelli can offer any discerning buyer a rich lifestyle for town, coast or country living. Angie has worked within the industry in Llanelli since 2005, joining Dawsons in 2009. Angie has a wealth of experience and knowledge within the local market in both sales and lettings, she oversees the day to day running of the branch, together with conducting Market Appraisals, however, primarily she spends her time dedicated to progressing our sales to ensure a smooth transaction for all parties concerned. Matthew has progressed since joining Dawsons in 2010 to a senior member of the team due to his professionalism and outstanding customer care. He has vast knowledge and experience in his field hence primarily conducts Market Appraisals, along with updating Vendors and assisting with everyday tasks in the office to help the team achieve their goals. Joe joined Dawsons in November 2015 as a trainee Sales Negotiator fresh from Uni’ he has proved to be a huge asset to the team with his boundless energy and enthusiasm for his role. Joe has a great knowledge of Llanelli and the surroundings areas being born and bred. Joe carries out the majority of viewings helping our buyers find their dream home. Joe has received many accolades for his customer care and sales ability on viewings. Sam joined Dawsons in 2016 as a Saturday Sales Negotiator. During that time, she has continued to impress us with her drive, enthusiasm and outstanding customer service so when a full-time position became available, we were delighted Sam applied for the position and she got it! Sam enjoys all aspects of her role and in the main helping our clients find their dream home. Caroline joined our Llanelli office as Administrator/Sales Negotiator in 2017 and has settled into her new role well. Caroline has excellent Customer Service skills and has become a valued member of the team. Aimee began her career in the property industry with Dawsons back in 2008 and has worked in both residential sales and lettings in numerous Dawsons branches. Aimee has recently moved from our Morriston lettings office to our Llanelli branch in her new role as senior negotiator valuer. Aimee has taken to her new role extremely well becoming a key part of the team and continues to use her vast knowledge of the lettings industry to help advise and guide both landlords and tenants. When not in the office, Aimee enjoys spending time with her partner, pets and holidaying with family when they can. Aimee is also a keen equestrian. Ian has worked in the property industry for over 10 years, joining the lettings team in Llanelli in late 2017. Prior to joining us, Ian was running a property maintenance and facilities management company based in Bristol. In his spare time Ian is a keen traveller, starting with trip around the world at age 17. Kim originally joined us in 2016 as the lettings administrator in our Marina office, after a short break Kim joined our Llanelli lettings team in February 2018 within the same role. Kim is an upbeat, happy member of staff who we are sure will settle into the Llanelli team quickly. In Kim’s spare time she loves nothing more than socialising with friends or relaxing with a box set on Netflix. 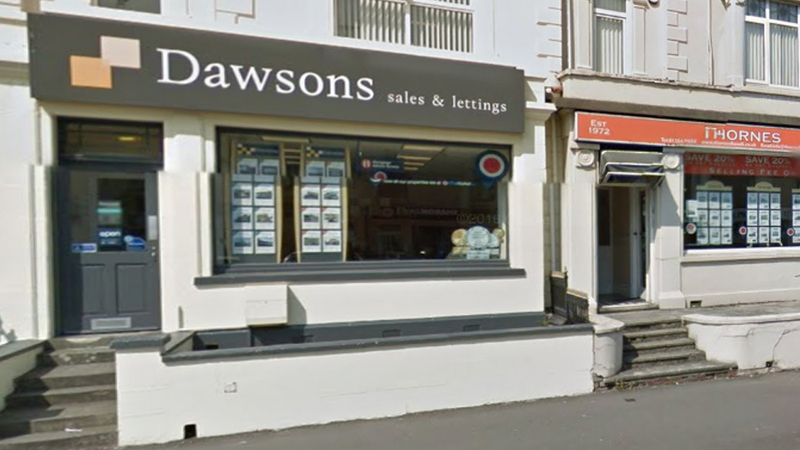 David is a local man and has worked in Financial Services in and around Swansea for over 25 years, and has worked alongside Dawsons since November 2008. David is based in Dawsons Llanelli office also covering Gorseinon and Killay branches. He is fully qualified with a full FPC (Financial Planning Certificate) and MAQ (Mortgage Advice Qualification). Saturday – 9.00a.m to 4.00 p.m.